Purnama Hotel is the biggest hotel in Limbang with 218 spacious guestrooms comprising of suites and deluxe rooms. The hotel has ample conference, meeting and banquet facilities to cater a 1,000 seating capacity. 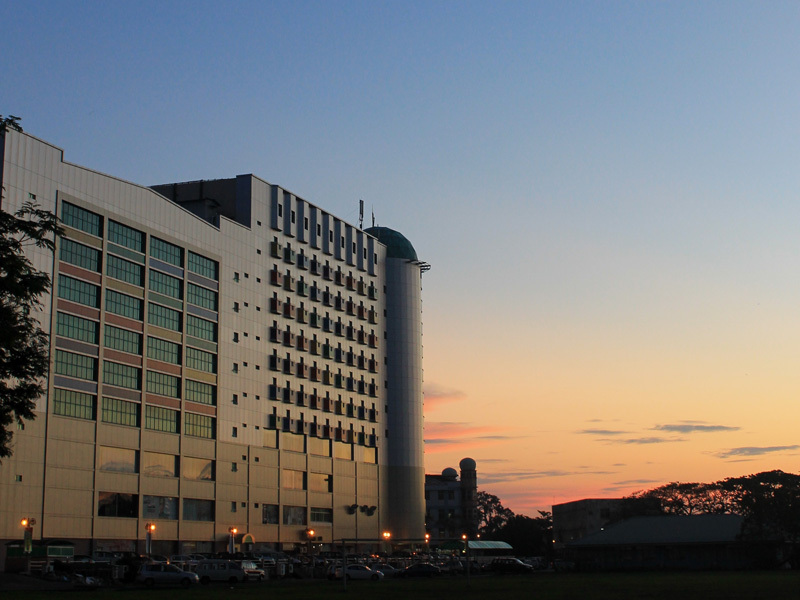 Purnama Hotel is the tallest landmark in central Limbang Commercial town giving its guests a beautiful panoramic view of the Limbang River. The hotel is adjoined to a 120 lot shopping complex and is within close proximity to government offices, the town mosque, and other places of interest in the area. The market and port town of Limbang stretches out along the eastern bank of Limbang River and serves as one of the 11 administrative divisions of Borneo-Sarawak which is also the northern gateway to Lawas, Sabah, Labuan and Brunei. Limbang is a popular weekend destination for neighbouring Bruneians and a popular tourist jungle trekking destination to Gunung Mulu National Park using the 11km Headhunter’s Trail.